Here are the finished Kabobs hot off the evo. 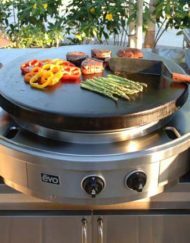 Entertaining can be so easy when you have an Evo grill. Here’s a simple recipe for Caprese Diem Kabobs. Which is basically a caprese salad served warm on a skewer. 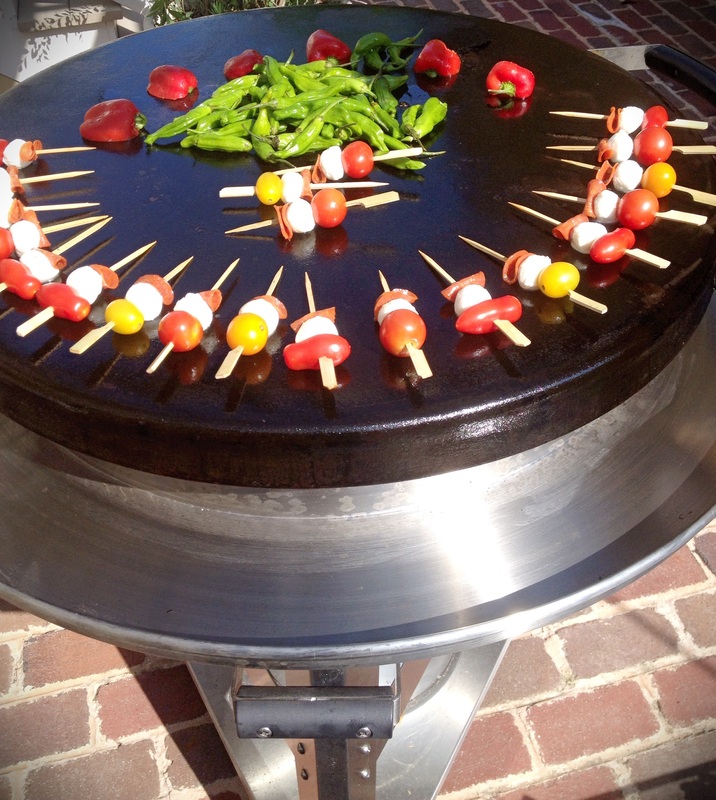 It is a truly classic kabob you kick up by warming it on the evo grill. All the prep work can be done ahead (perfect idea for a relaxed host). You can then either grill them all at once to serve as a starter or have them for guests to grill themselves as desired. Either way, this is a quick, easy, and inexpensive way to entertain a crowd. The recipe is so simple it really only needs photos to explain, but here it is step by step. Ingredients for Caprese Diem Kabobs. 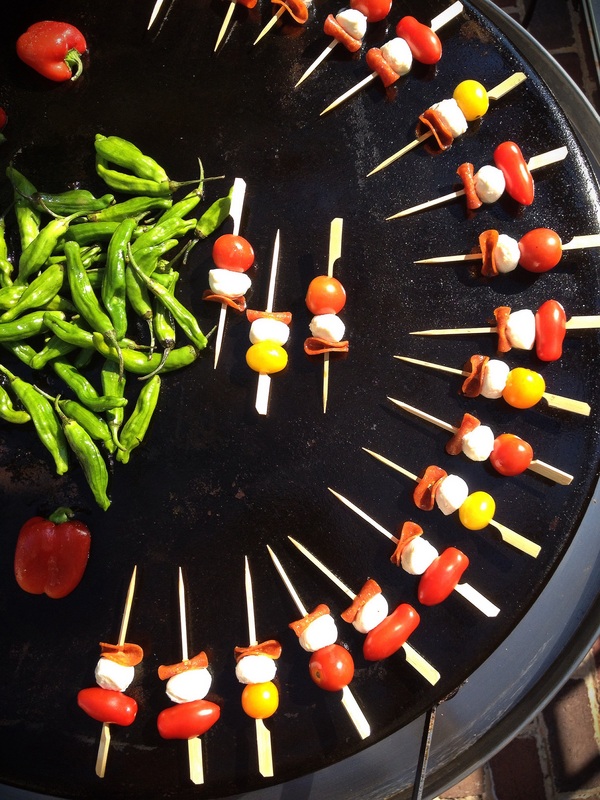 Here is a finished platter of skewers ready to grill. First make herb oil to drizzle over finished kabobs by combining oil, herbs, garlic and salt and pepper to taste in a blender or food processor. Add additional oil if needed to form a semi-smooth paste ( I like a little texture left in the mix because it helps cling better to the kabobs with dripping off). You will have about a cup which will be more than needed for our kabobs. However, it is great on grilled meats and vegetables as well as making a great salad dressing base. 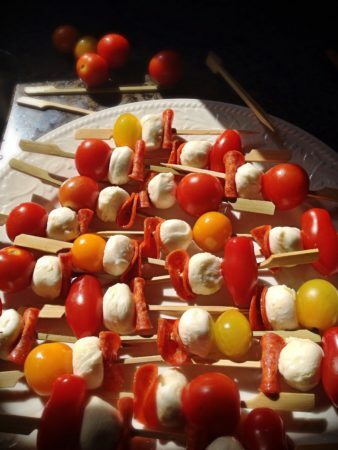 Skewer a tomato, a mozzarella ball, and a slice of pepperoni doubled over onto skewers. If you have some vegetarians in your group, simply substitute meat for another vegetable like roasted peppers or a pitted olive. Place on platter and cover and keep cool until ready to grill ( I try not to refrigerate for too long as it changes the tomatoes texture). Warm evo grill to medium low. 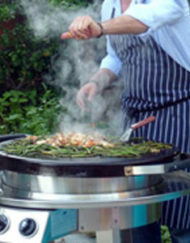 Place around the outside of grill so guests can help themselves as they are ready in moments. The kebabs only require a minute on medium low to warm up. here I also grilled up some shishito peppers alongside for variety. You can set the center of the evo to higher heat to cook the peppers. 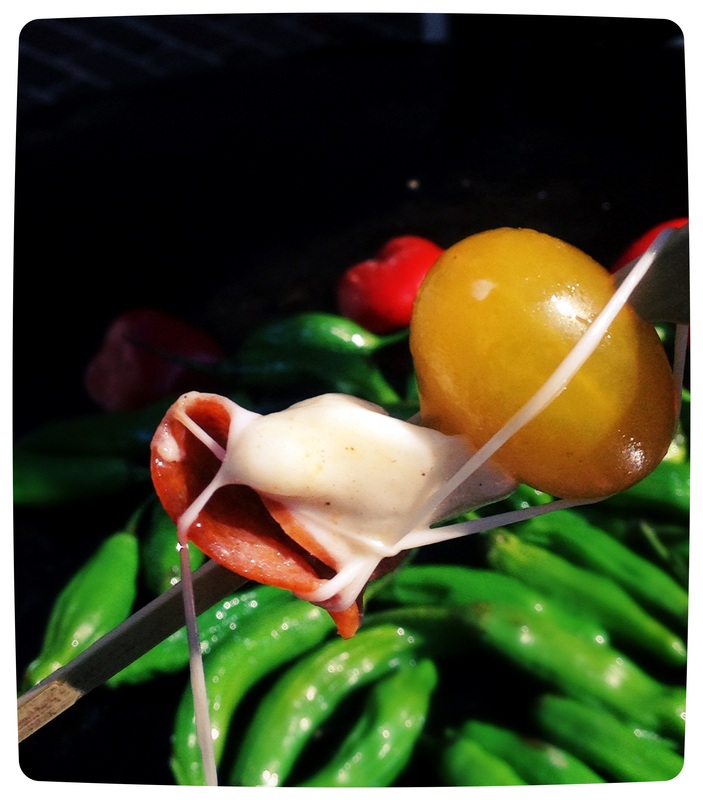 Over heating is not a problem, simple rotate skewer to wrap the melted cheese. 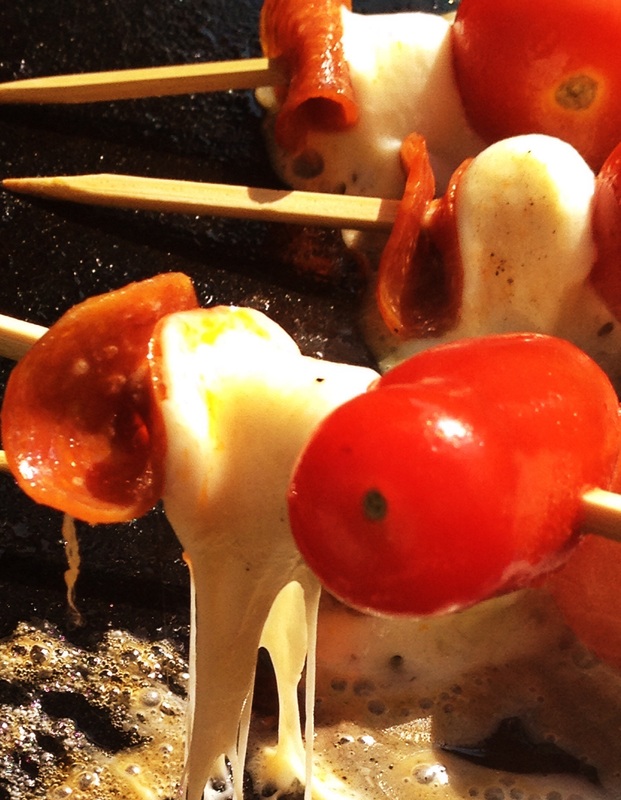 Warm 1-2 minutes total until cheese is goey but not melted off the skewer. If some guests over heat simply use spatula to remove from evo. Be sure and rotate the skewer to wrap the melted cheese around tomato and pepperoni.It will still be delicious! 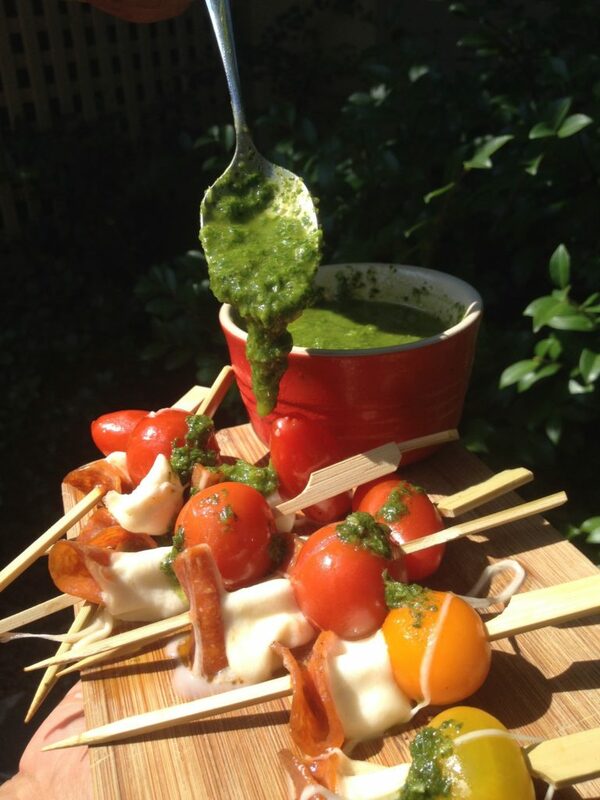 Serve warm kabobs with a bowl of the herb oil to drizzle on top. Alternate cooking directions for those of you with out the luxury of an evo. Of course you can use this recipe indoors on a preheated griddle for about 3 minutes. I might even try it on a regular outdoor grill using a heavy sheet pan over low. In oven, it will take about 5 minutes on 375 degrees on a cookie sheet to get similar results. But really nothing beats the ease of my evo grill. You can gather round the circular flat top and serve your friends straight off the grill. It is a very communal way of entertaining, much like those fondue parties of the 60’s. Add a green salad, olives, and bread and you can call it dinner. For a 3 course meal option, I sometimes offer simple chicken kabobs (my recipe here) then grill pineapple cubes and pound cake on a skewer to serve for dessert. Here is a link to a great recipe for the dessert skewer by BetsyLife blog. I really think you should try these soon. 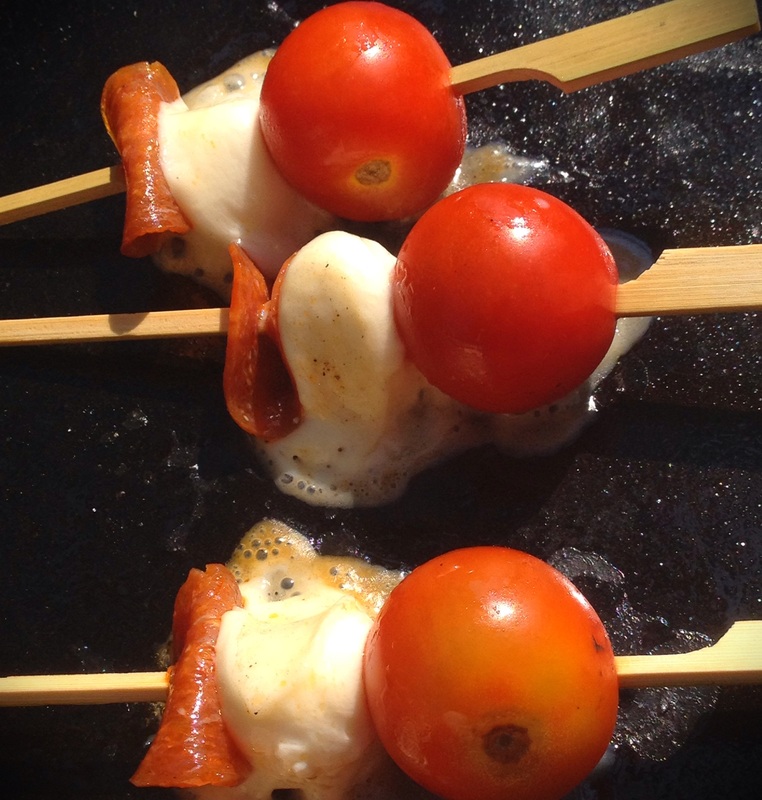 Because who doesn’t love a juicy warm tomato with creamy melted cheese and fresh herbs? Kids, foodies, and grandparents all seem to love these. It is like summer in a single bite. Because does anything say summer better than a perfectly ripe tomato from your garden? 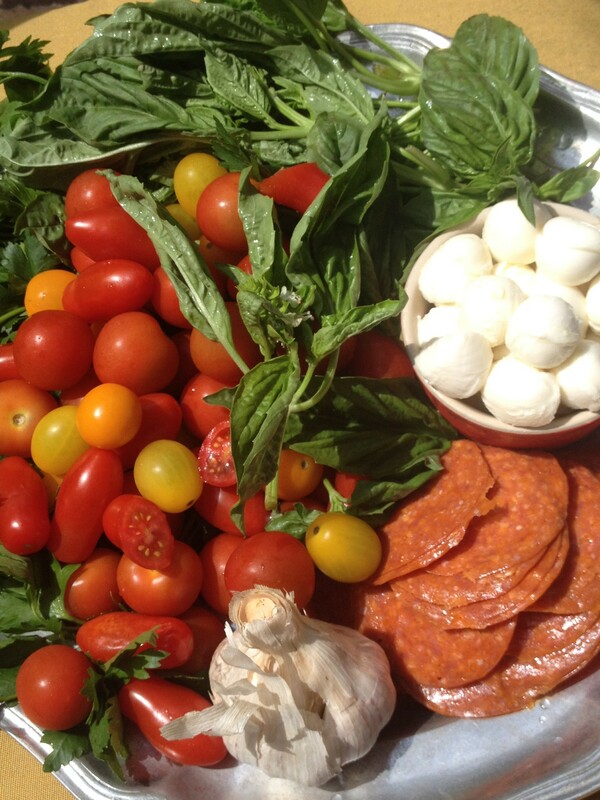 I’m savoring these last days of tomato season and indulging often in the bounty while it lasts. And it really is so simple to prep and make for a crowd. So invite some friends over and savor these last days of summer outdoors together. Kabobs are ready when just warmed. 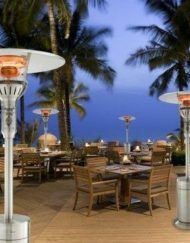 Evo grills allow you to gather round and serve directly of the grill for easy entertaining. Don’t worry if some skewers are more melted than others, the melted cheese comes right off the evo once cool! And the skewers will still be equally delicious if slightly more messy to eat. 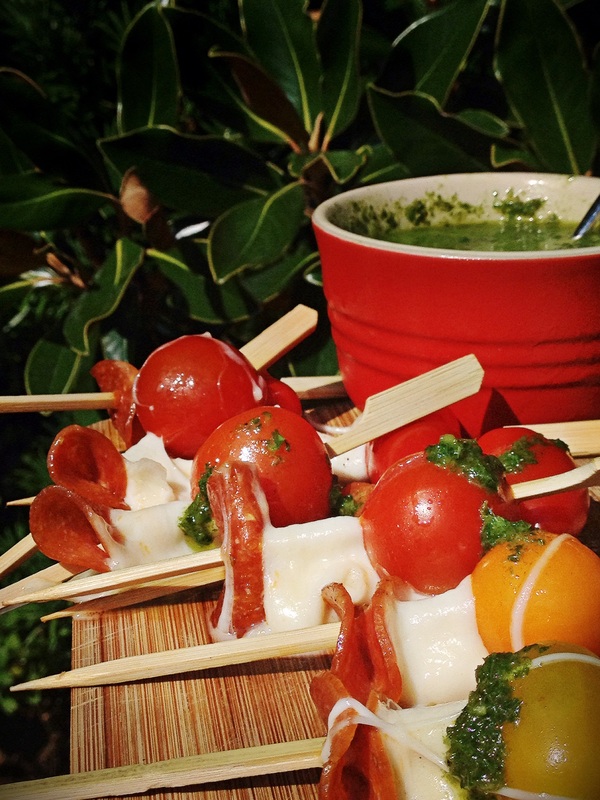 Drizzle finished skewers with herb oil or offer alongside for guests to help themselves. Charleston Wine and Food Festival 2016 Kicks Off!